Pocket-sized Samurai. Sony's latest member of the Xperia series features a relatively small screen of only 4-inches. 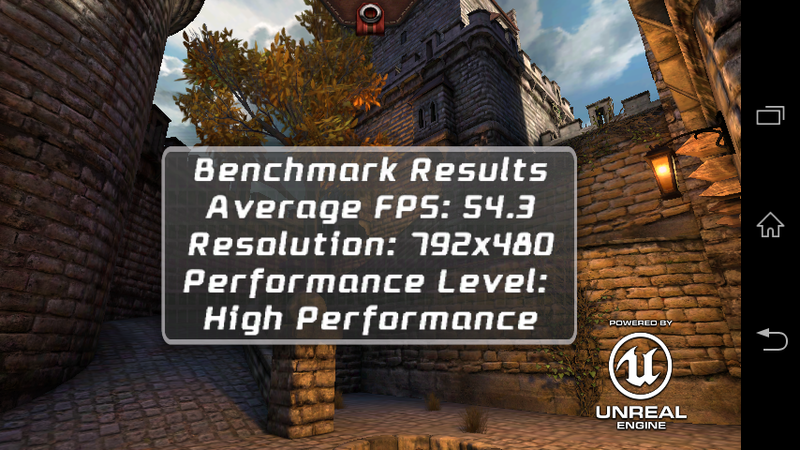 The low-clocked dual-core processor is supported by a strong graphics unit. Is that enough to gain a foothold in the entry-level sector? Sony complements its current smartphone product line with an entry-level device dubbed Xperia M. It is located below the Xperia L in terms of performance. Its 4-inch screen is also a bit smaller. 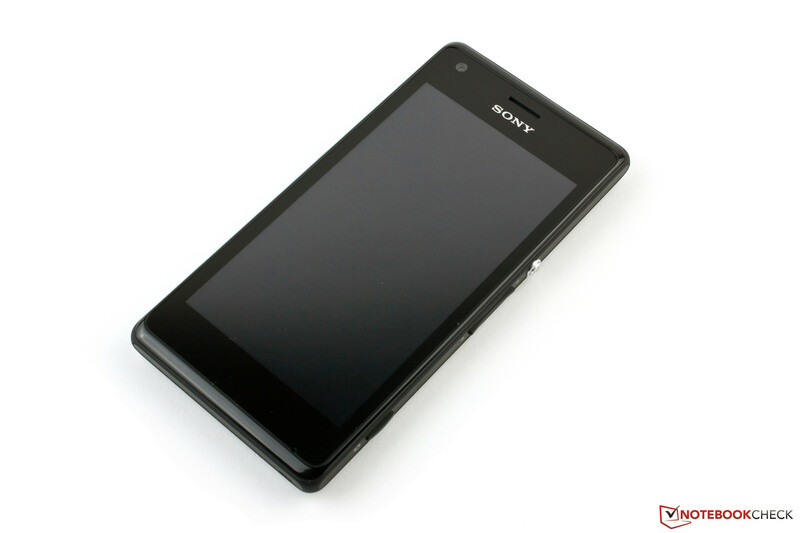 Unlike Sony's current Xperia Z top model, it does not sport a quad-core SoC but rather a dual-core SoC. With 1 GHz, the dual-core installed in the review sample has a marginally lower clock rate than that in the L-version (1.2 GHz). 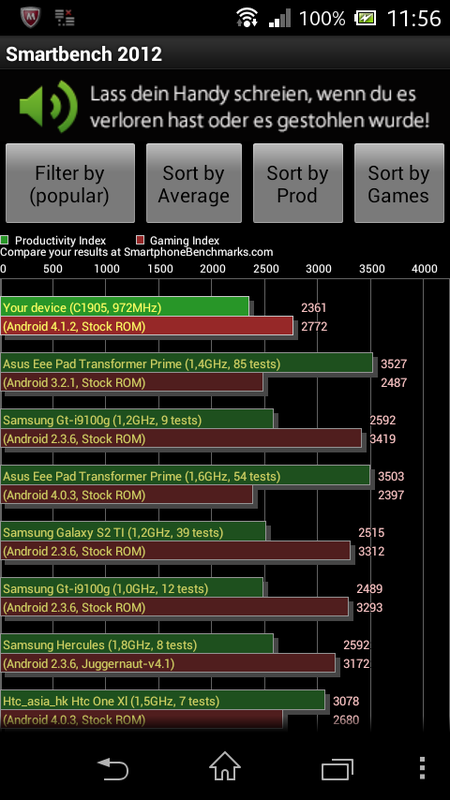 However, the buyer gets a quite strong GPU with the Adreno 305. The phone is available in black, white, yellow and purple. Whether Sony's plan will work and the Xperia M can compete with contenders, such as Huawei's Ascend Y300, HTC's Desire 500 or Acer's Liquid E2 will be clarified in this test report. Nokia, or correctly soon Microsoft, also pushes itself in the entry-level sector with the Windows phones Lumia 520, 620 and 720 and thus represents contenders outside of the Android space. A scratch-resistant glass pane protects the screen. The back is rubber-coated and non-slip. A multi-colored message LED is also installed. The size of Sony's Xperia M is 124 x 62 x 9.3 mm (length x width x height) alongside a weight of 112 grams including its removable battery. The screen is behind an unspecified scratch-resistant glass pane that is bordered by a black plastic bezel. The single-piece back cover directly abuts it and creates both the sides as well as the backside. 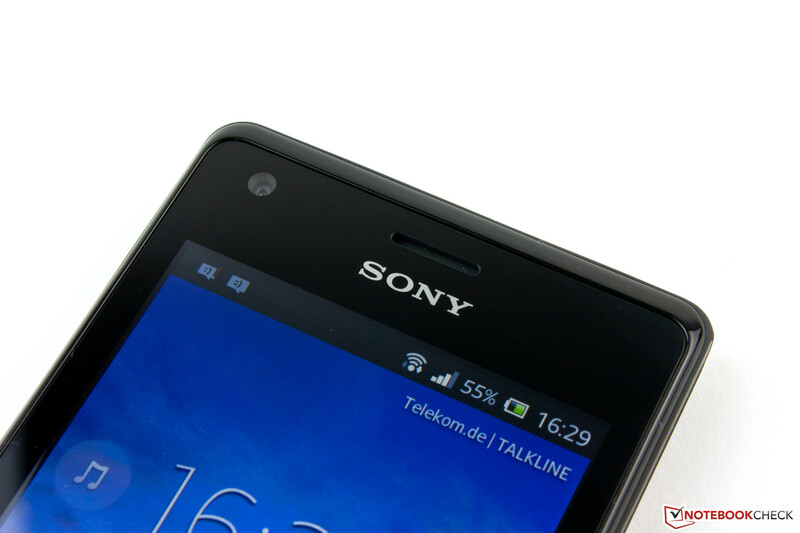 The lateral line management has been adopted from the Xperia Z with the difference that plain black plastic is used rather than mineral glass. The corners and the back feature a matte-black rubber coating and give the phone an especially good grip. 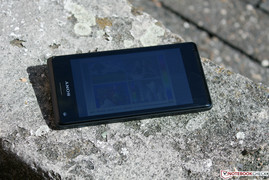 As typical for Sony's Xperia series, this device also has the eye-catching aluminum power button. The USB 2.0 port's edge protrudes slightly so that the cover can be opened easily. This also worked well in practice. Both the micro-SIM slot and micro-SD card reader were comfortable to access once it was removed. The strong 1700 mAh battery is also easy to replace. However, since the NFC chip is implemented into the cover, the back covers should not be randomly exchanged with other phone users depending on the chip's use. The phone proves to be very stiff. However, it permanently creaks and snaps due to the clasped cover's play. The Xperia M features a pleasant feel and is comfortable to hold. A small highlight is the message LED that informs the user about incoming or missed calls as well as received messages in different colors. 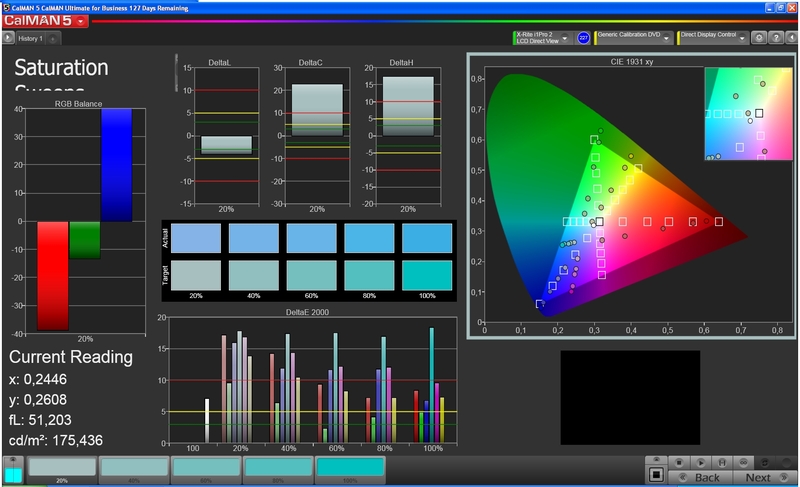 Both the action and the corresponding color can be defined in the settings. 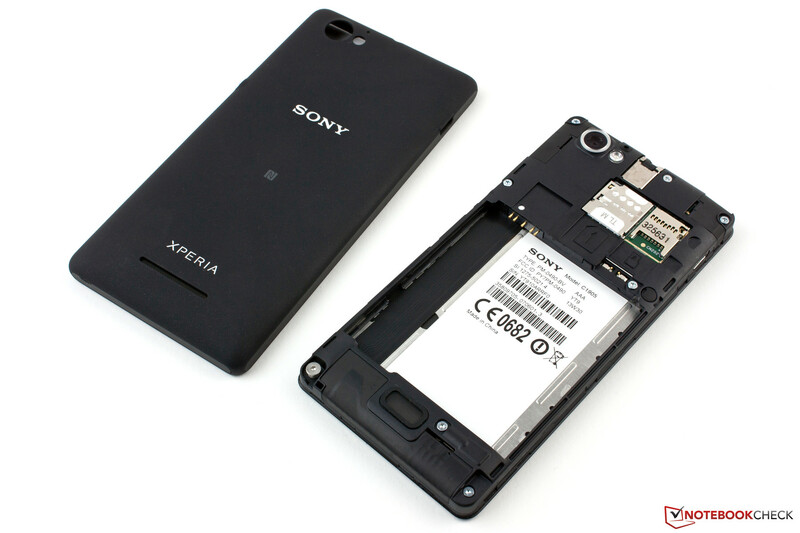 Sony's Xperia M features a 4 GB flash memory. The user has roughly 1.3 GB available after first use. Since this is not much, the buyer should consider investing in a micro-SD card when purchasing the smartphone. The phone's storage can be expanded by up to 32 GB this way. There is no sensor field for using the operating system. This is only possible via the touchscreen. Nevertheless, there are three physical buttons. Besides the striking aluminum power button, we find the volume rocker and a camera button. The latter also enables going straight to camera mode from standby. Like in a conventional camera, the shutter release button has two steps. The first step is used for focusing and a picture is shot when the button is pressed down completely. 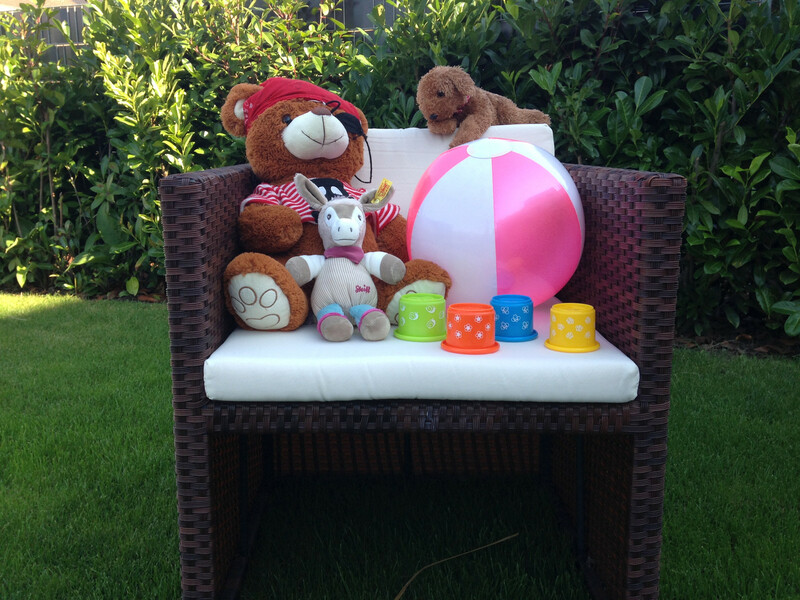 The volume rocker is used for zooming when the camera app is active. The micro-USB port supports standard 2.0 and is used for both recharging the phone as well as data sharing with a computer. The audio jack on the top is a combined headphone-microphone port. 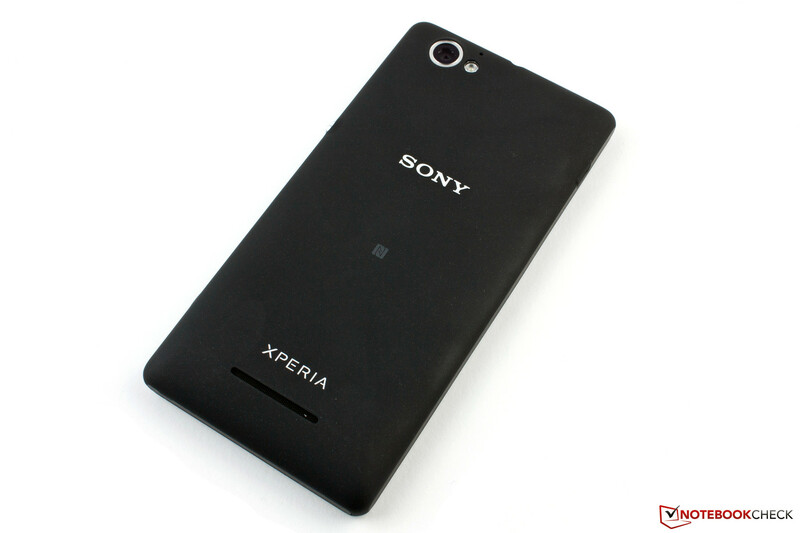 Sony's Xperia M is delivered with Google's Android 4.1.2 Jelly Bean. The operating system has only been modified to a minor extent. A few icons have been replaced and the setting menu has been expanded. Sony also installs a few useful widgets on the smartphone. The preinstalled bloatware is not as compelling. Although the programs can be completely deleted, particularly McAfee's Antivirus is a bit tricky. It is not known whether a system update to Android 4.2 or 4.3 is planned. Sony tries to provide all of its current devices with updates but there is no clear statement regarding the Xperia M.
The Xperia M is well equipped in terms of communication qualities. It supports all four GSM networks (850, 900, 1800 and 1900 MHz) as well as the high-speed data technology HSPA+ (850, 1700, 1900 and 2100 MHz). It is not surprising that the smartphone does not feature LTE support in view of its price design. The Wi-Fi module supports IEEE 802.11 a/b/g/n standards and transmits in both the 2.4 and 5.0 GHz frequency ranges. The Wi-Fi unit was very convincing in the test and supplied good results. 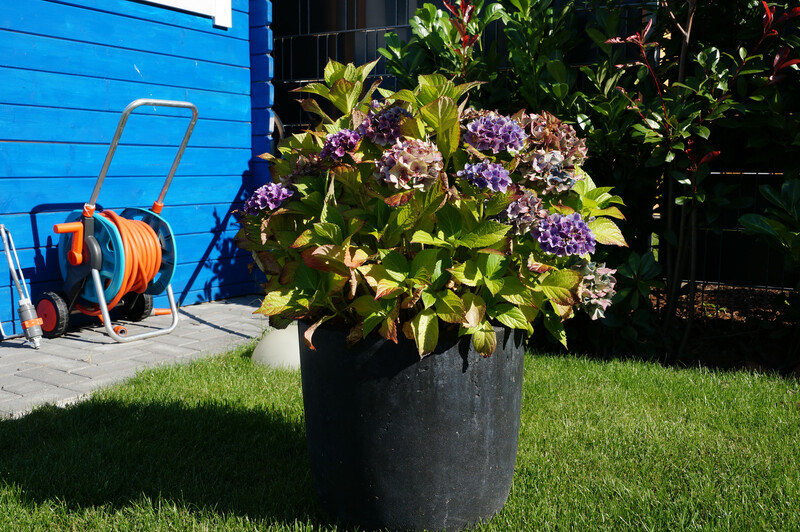 Longer distances from the router (>20 m) were no insurmountable obstacle for the Xperia M.
However, the GPS receiver is only recommendable for outdoor use. A decent localization is possible then. The phone could not determine our position indoors. The phone app features a plain and simple design. 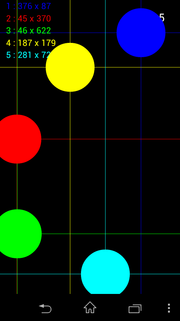 The biggest modifications in contrast to the standard Android app are the changed graphics. Its convenience remains good. 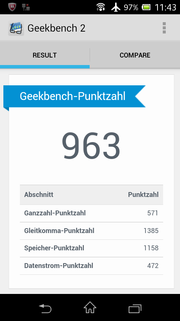 The Xperia M's speech quality is also compelling. Although we sound a bit tinny at the other end, we are always well-intelligible. We were surprised that we were more clearly understood in a quiet surrounding than when holding the phone close to the ear. However, the smartphone user heard the partner better when the device was held to the cheek. This also worked quite well using the speaker but there were occasional, minor interruptions. All in all, the Xperia M did a good job here. The primary camera has a resolution of five megapixels (MP). That corresponds to a resolution of 2560x1440 pixels in a ratio of 16:9. 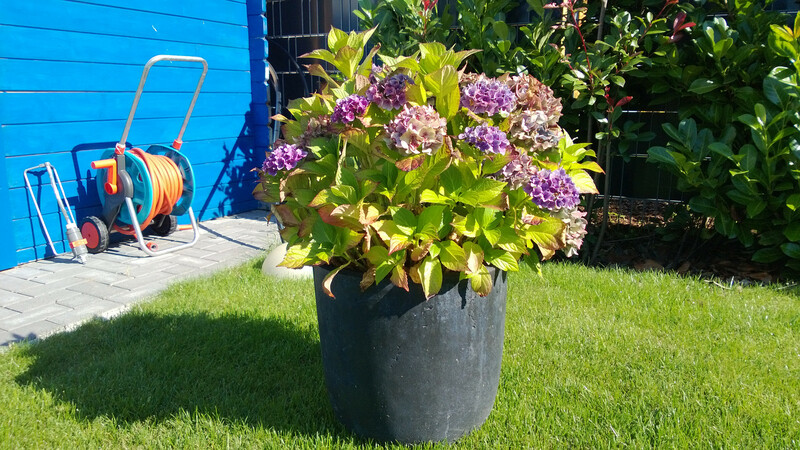 Just like the higher resolution camera in the Xperia L model, the review sample's camera features an HDR function. It works quite well and is particularly useful for objects with varying light exposures. The camera is quite useful for the occasional snapshot in good light in practical use, but it cannot replace a compact camera. 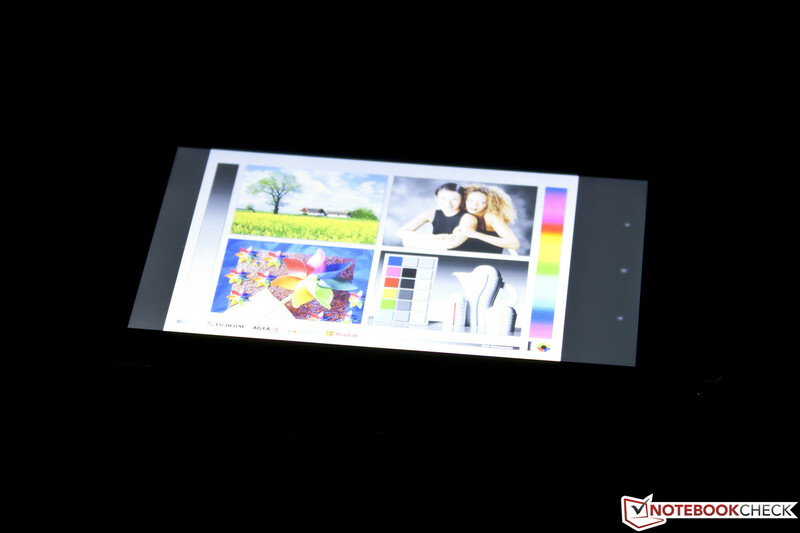 The pictures are sharp and exhibit a decent color reproduction as long as there is enough ambient light. However, the pictures are slightly blurred and muddy in just slightly poorer light conditions. This is accompanied by a very visible bluish cast that is due to a deficient white balance. As usual, there are not many accessories included. The device only comes with a 4.25 watt power supply and a corresponding USB cord. Although a headset is also found among the accessories, it was unfortunately not included for our review sample. 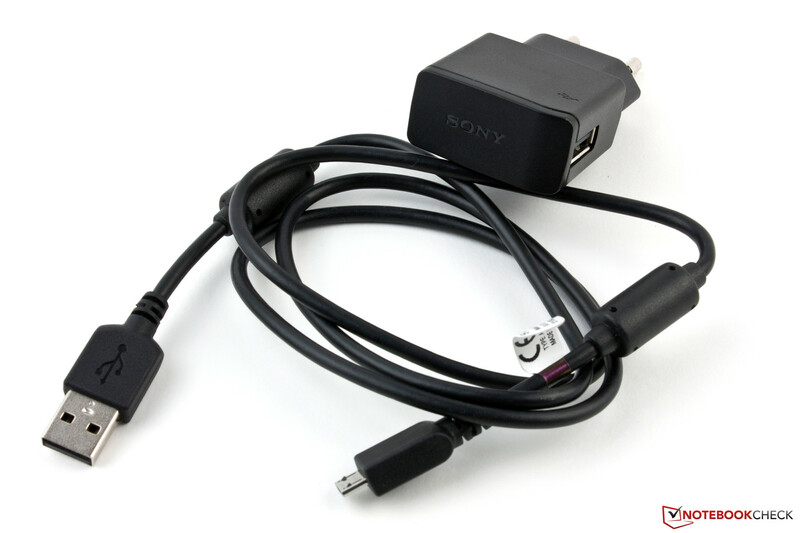 The buyer can fall back on a generous supply of optional accessories from Sony. This ranges from SmartTags over plug-in and wireless headsets up to SmartWatches. Sony includes a 24 month warranty on its smartphone. The accessories and battery are covered for 12 months. Neither warranty can be upgraded. The virtual keyboard is very clearly arranged. 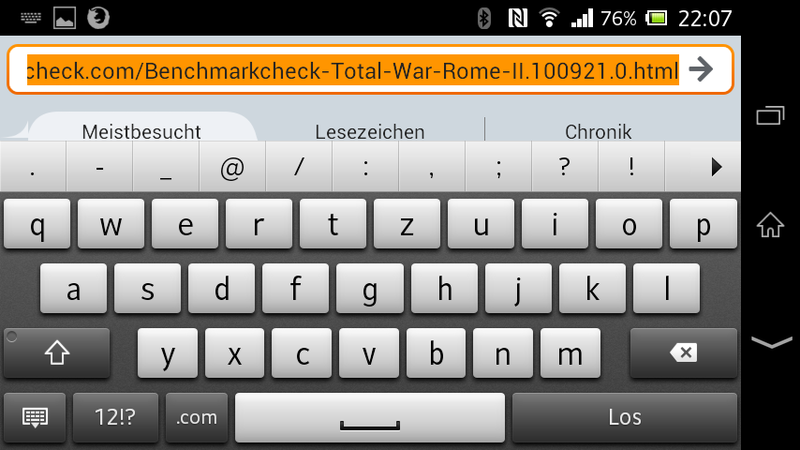 It corresponds to a graphically enhanced standard keyboard from Android 4.1 but with an additional row above it. It displays frequently used characters when opened. Auto-completion suggestions are made when the user starts typing. The virtual QWERTY keyboard makes a very cramped impression in portrait mode. Users with large hands might have problems hitting the right key. Nevertheless, we were pleasantly surprised about the keyboard's accuracy. Typing in landscape mode was considerably more comfortable. The single keys have a larger gap and feature an agreeably big design. Unfortunately, they also cover almost the entire screen then. 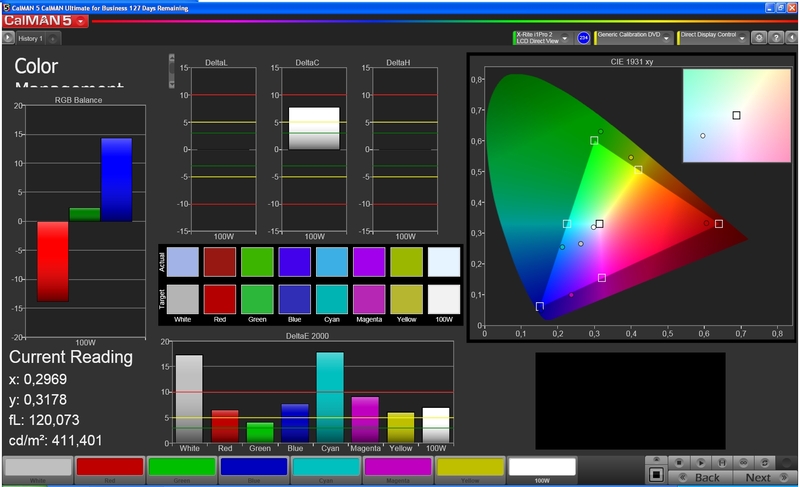 The touchscreen detects up to five simultaneous inputs, which are implemented quickly and accurately. The automatic screen rotation works flawlessly. The screen's surface also features good gliding traits but is very susceptible to fingerprints. Virtual keyboard in landscape mode. 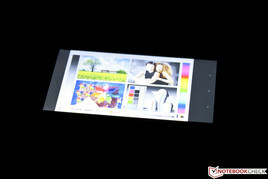 The TFT screen has a diagonal of 4-inches and a resolution of 480x854 pixels. That corresponds to a pixel density of a decent 245 ppi. In times of Full HD screens, this may seem a bit coarse, but it is more than sufficient for this screen size. The screen's average brightness is 422 cd/m² and thus on a good level. 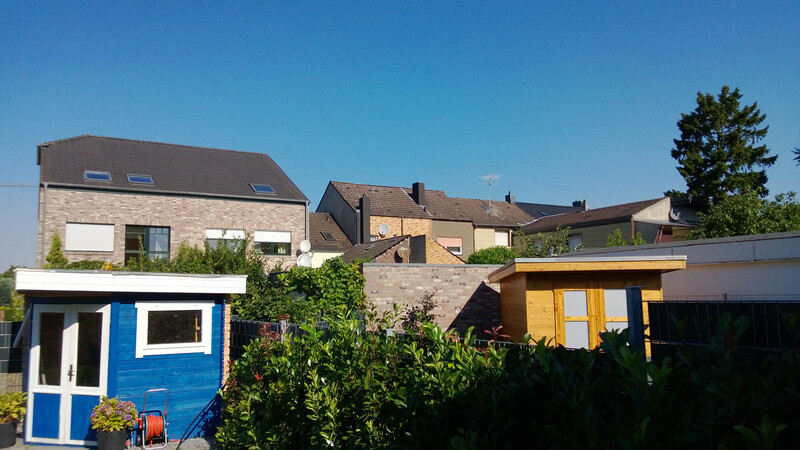 The illumination of 82% could be a bit more balanced but this is not noticed in practice on a smaller screen like in the Xperia M. The Xperia L's brightness of 383 cd/m² is even a bit lower and the Acer Liquid (347 cd/m², 88%) and Nokia Lumia 520 (287 cd/m², 92%) are darker. However, particularly the Lumia's IPS screen excels with an excellent illumination. 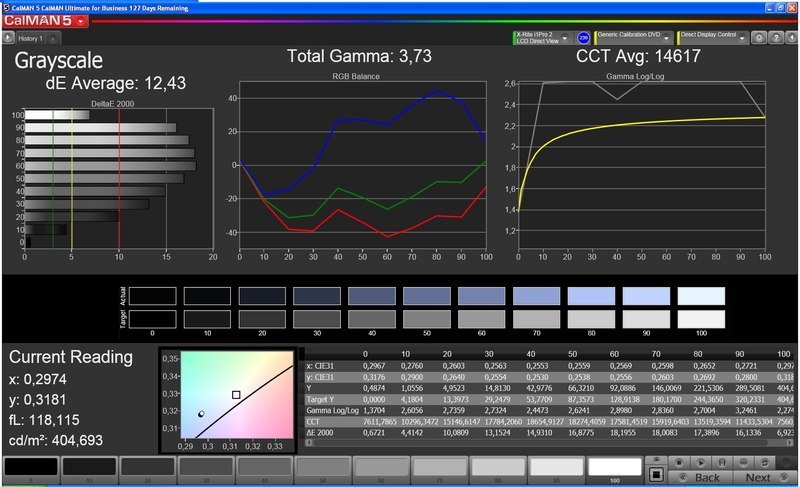 The black value of our review sample is quite high with 0.67 cd/m² and prevents a contrast beyond 633:1. Black does not look really saturated but rather more like dark gray. However, the category contenders also range within this area. HTC's Desire 500 even manages the lowest rate in this comparison field with 0.8 cd/m². The screen assessment does not improve this impression. Clear deviations are found in all measured fields. Particularly the grayscale is poor. Not only is the DeltaE of 12.4 much too high but we also very clearly noticed the bluish cast typical for low-quality TFTs. 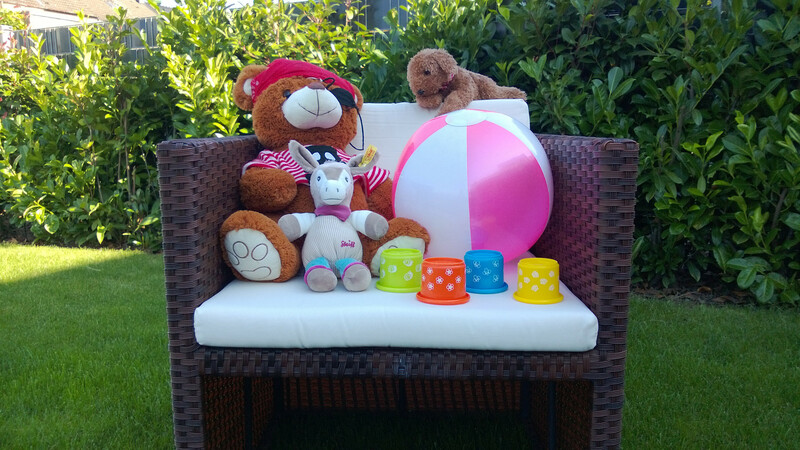 In particular, the small Nokia proves that an entry-level smartphone can achieve a very good color reproduction in this exercise. It can even compete with many premium devices with a dE of 2.2. 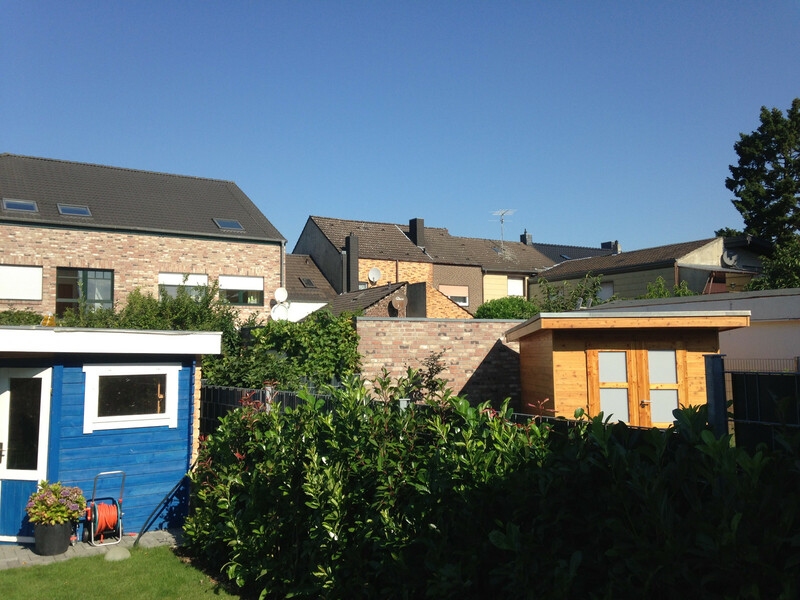 The bright screen should actually be well-suitable for outdoor use, particularly since the contrast is quite decent. 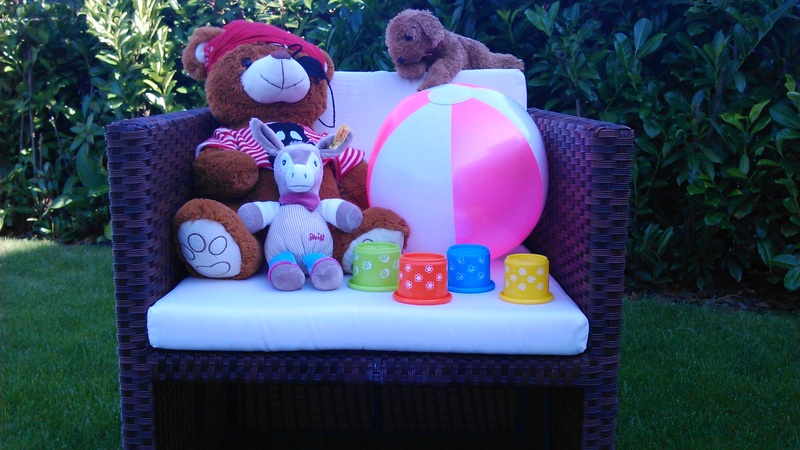 The Xperia M is pleasant to use in the shade. However, the screen becomes virtually illegible in direct sunlight. We would not have presumed this to such an extent in view of the measured rates. The Xperia M in bright sunlight. Since the Xperia Z flagship did not exhibit a good viewing angle stability, we did not expect much from the review sample and were not disappointed. 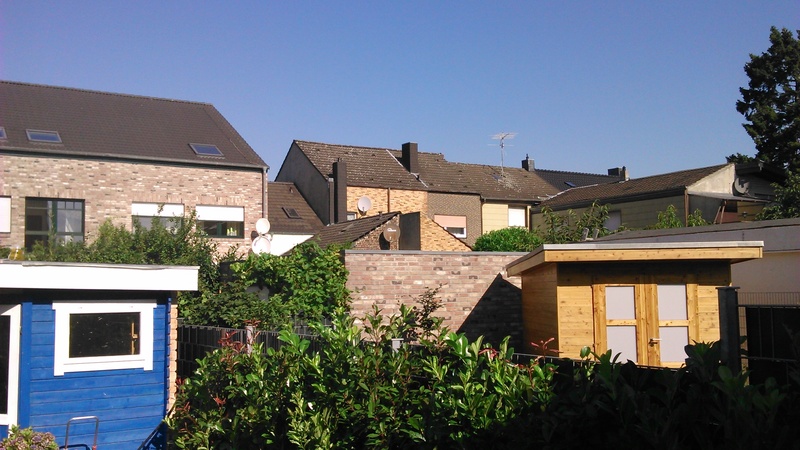 The Xperia M's viewing angles are modest. 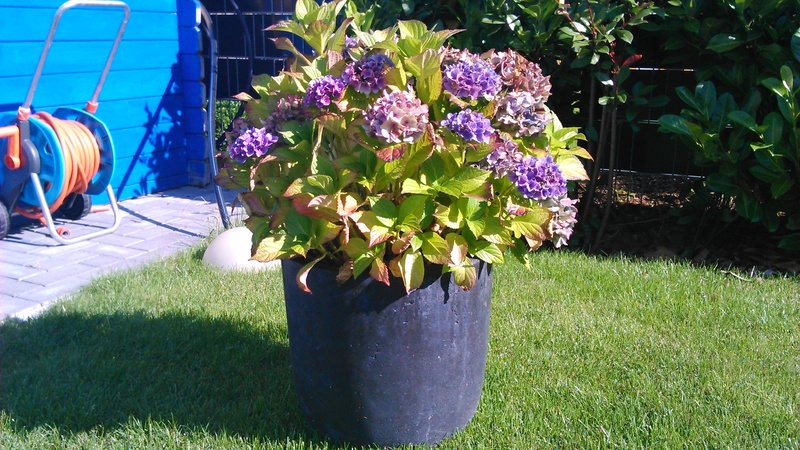 Colors start to invert at an angle of only 20° and the picture is covered with a grayish cast. IPS and SLCD screens from the competition do a much better job here. However, it would be unfair to say this is only due to the applied TFT technology because these screens can feature an enormous viewing angle stability, as Samsung impressively proves with its Galaxy S4 Active. Sony's Xperia M is not a powerhouse. It sports Qualcomm's Snapdragon S4 SoC with a dual-core processor whose cores clock with 1.0 GHz each. It is supported by 1 GB working memory and an Adreno 305 graphics unit. The storage device is a 4 GB flash memory. 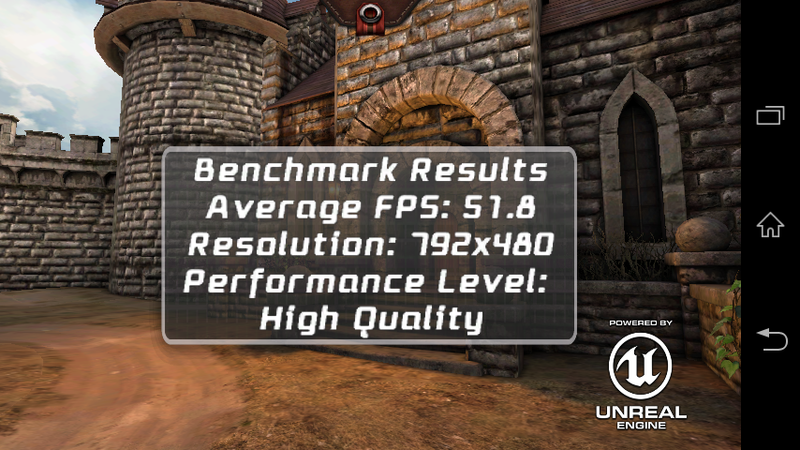 The CPU's performance level lags behind the competition. This is primarily due to the somewhat lower clock rate. 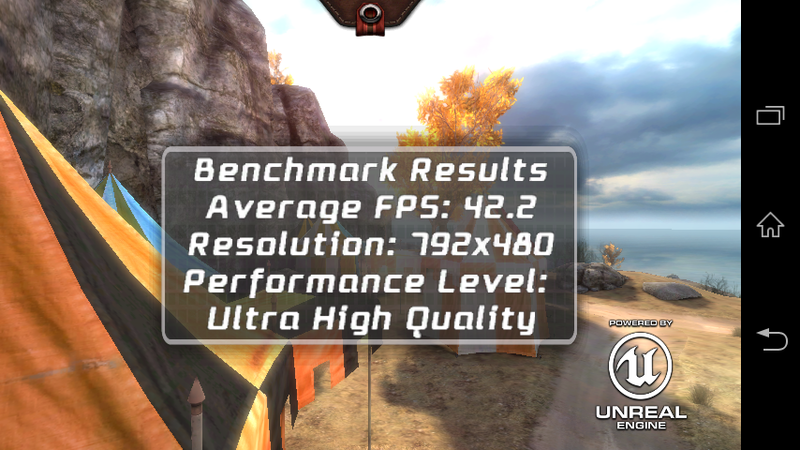 The graphics potential is, however, much higher in the Xperia M and it proves that in the GFX benchmark. The identically equipped Windows phones from Nokia and HTC unfortunately do not have an analogous comparison platform so that a direct performance comparison is not possible. Subjectively, the review sample's computing power is sufficiently designed. Annoying stutters in the Android user interface or longer waiting times for apps to open are not an issue. 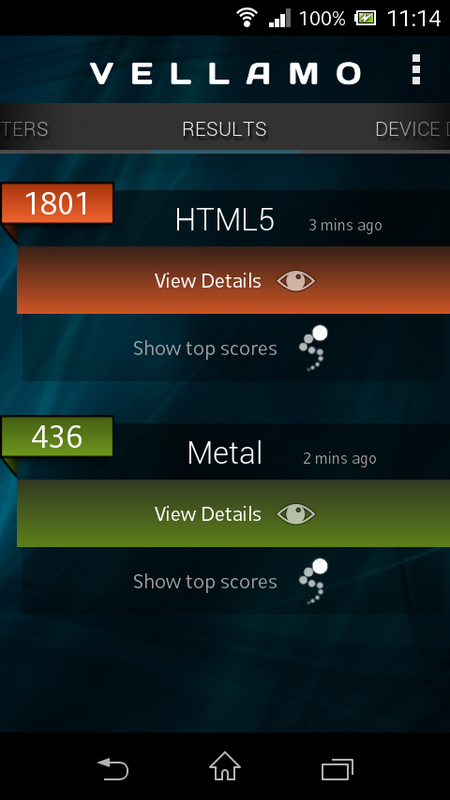 The browser benchmarks look the same as in the overall performance. 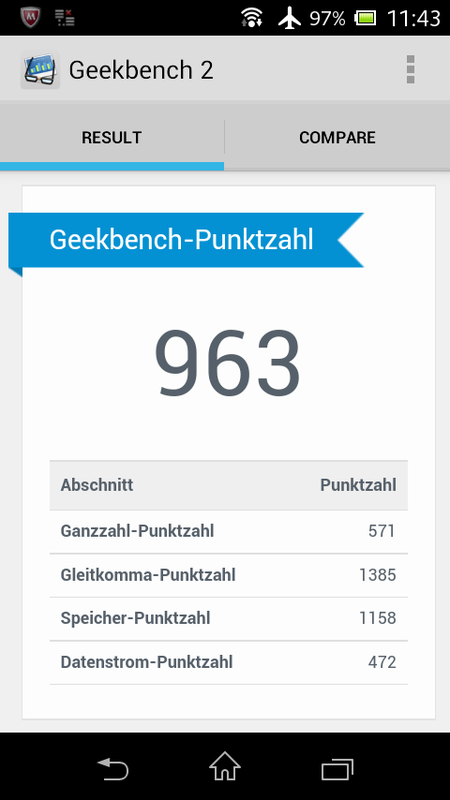 The comparison field of the Android competition is quite close. Only Acer's Liquid E2 with the MediaTek SoC can break away significantly. This is also true for HTC's Desire 500 with a Snapdragon 200. That is primarily due to the SoC's two additional cores. The comparison with the Windows phones is difficult in this test scenario because the results are very dependent on the used browser. 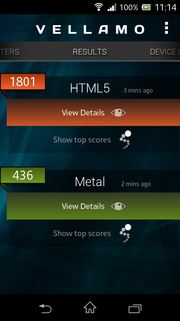 The Xperia M (Chrome 28) usually has a speed advantage over the Windows phones (Internet Explorer 10). Generally, browsing on the World Wide Web is not a problem for the review sample. Only expansive websites need a bit longer to load. 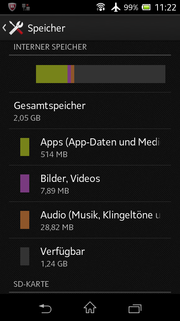 The storage in Sony's Xperia M gives a good performance. The measured rates are really decent and are a real added value in contrast to the competition. Only Acer's Liquid E2 sports an even faster flash memory that particularly excels in reading data. 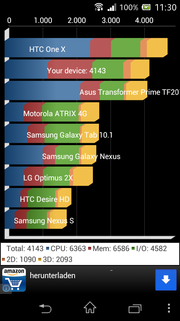 Owing to the midrange Adreno 305 GPU, demanding games are no problem for the Xperia M. Only up to date 3D top tracks like Iron Man 3 exhibited occasional stutters. Here, not only the GPU but also the somewhat weak CPU find their limits. Classics like Angry Birds and Fruit Ninja run smoothly. The touchscreen and position sensor are in no way a stick-in-the-mud and perform impeccably. 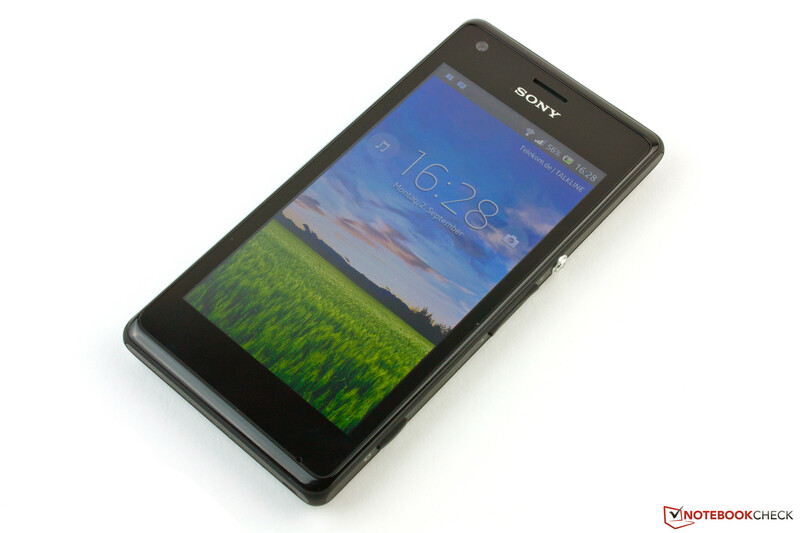 Sony's Xperia M reaches a maximum idle temperature of 34.5 °C which is not even lukewarm. However, the little Japanese-manufactured phone proves to be hot-headed during load. Rates of up to 43.4 °C are measured in the stress test via the Stability Test app (CPU and GPU load). That is relatively high. The other Android contenders all remain below 40 °C. Only the Windows phones HTC 8S and Lumia 520 with the same SoC achieve a similar surface temperature of 41 °C. This high temperature is likely primarily due to the strong Adreno GPU. That would not be particularly annoying if this maximum temperature was not measured in the earlobe's area. Although these temperatures will barely ever be reached in practical use, users who like to play a longer game might be unpleasantly surprised when accepting a call. (±) The average temperature for the upper side under maximal load is 37.7 °C / 100 F, compared to the average of 33 °C / 91 F for the devices in the class Smartphone. (±) The maximum temperature on the upper side is 43.4 °C / 110 F, compared to the average of 35.5 °C / 96 F, ranging from 22.4 to 51.7 °C for the class Smartphone. (+) In idle usage, the average temperature for the upper side is 31.2 °C / 88 F, compared to the device average of 33 °C / 91 F.
The installed mono speaker on the back does a fairly decent job. Naturally, sound miracles should not be expected but its performance is enough for playing games, listening to the radio or watching a movie on the go. It does not distort even in maximum volume. The sound quality is a bit muffled, lacks mids and bass but it does make an unbalanced impression. The power consumption of Sony's entry-level smartphone is within limits. 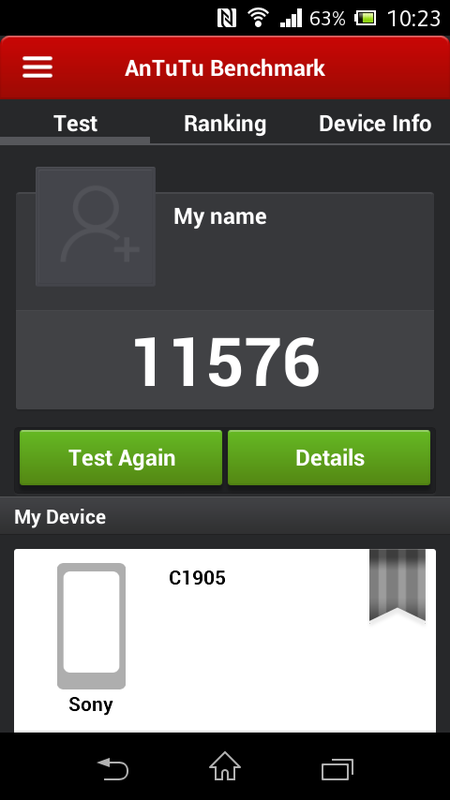 The Xperia M consumes a maximum of 1.4 watts in idle mode. The device is not exceptionally power consuming with a maximum of 2.8 watts in load. 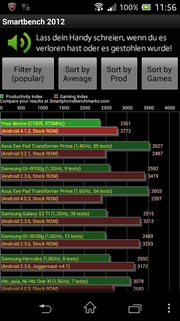 The comparison with HTC's 8S shows that this should not be taken for granted in view of the relatively weak SoC. The Windows Phone sports the same SoC and consumes a maximum of 4.1 watts during load. The review sample is thus on a par with its Android contenders. 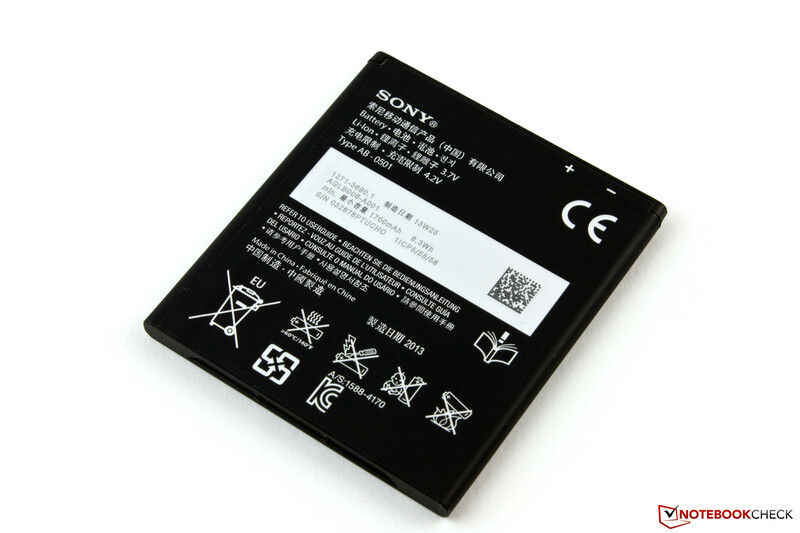 Sony's Xperia M sports a 1700 mAh (6.3 Wh, 3.7 V) battery. 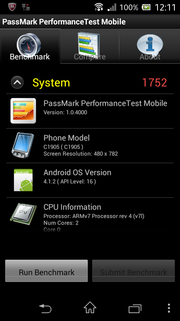 It achieves quite impressive runtimes with that owing to its low power requirement. We ascertained the maximum runtime using minimum screen brightness, enabled energy-saving mode and disabled communication modules with exception of the Wi-Fi module. Reading a text was simulated via a script. The smartphone shut down after 15 hours and 36 minutes. This is a decent rate but it is clearly outperformed by Huawei's Y300 runtime leader. The opposite, minimum runtime scenario is determined using maximum screen brightness and all power consumers on via the Stability Test app. The review sample managed a good rate of over three hours here. The Wi-Fi browsing test is more realistic. Here, a mix of websites is opened every 40 seconds using an adapted screen brightness of 150 cd/m² and only an enabled Wi-Fi connection. The Xperia also lasted for over ten hours in this scenario. Consequently, the battery runtime should usually be enough to last a whole day. The device only has to be plugged in to a socket sooner when it is used exhaustively. 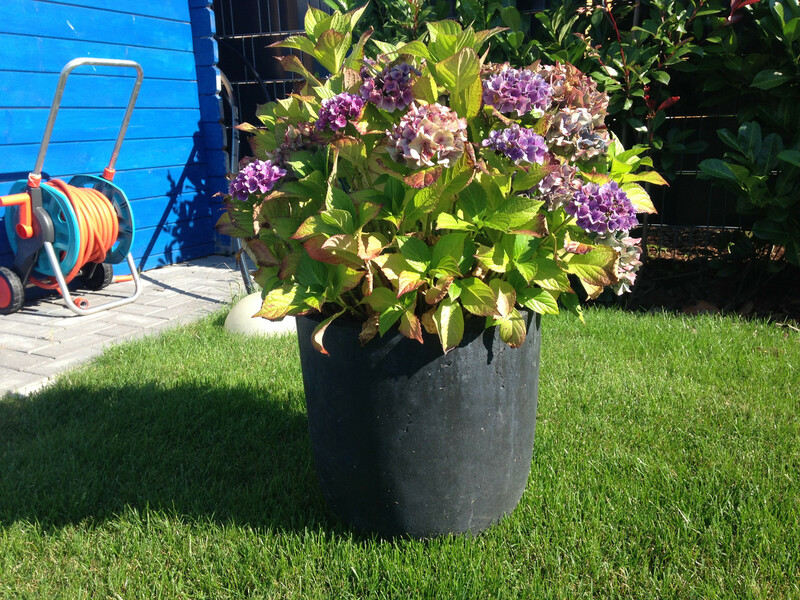 The practical runtime can be extended via various energy-saving features though. Sony's 4-inch Samurai proved to be a little hot-head that fits in every pocket due to its compact size in the test. We particularly liked the quality build and the strong graphics unit considering it is an entry-level phone. 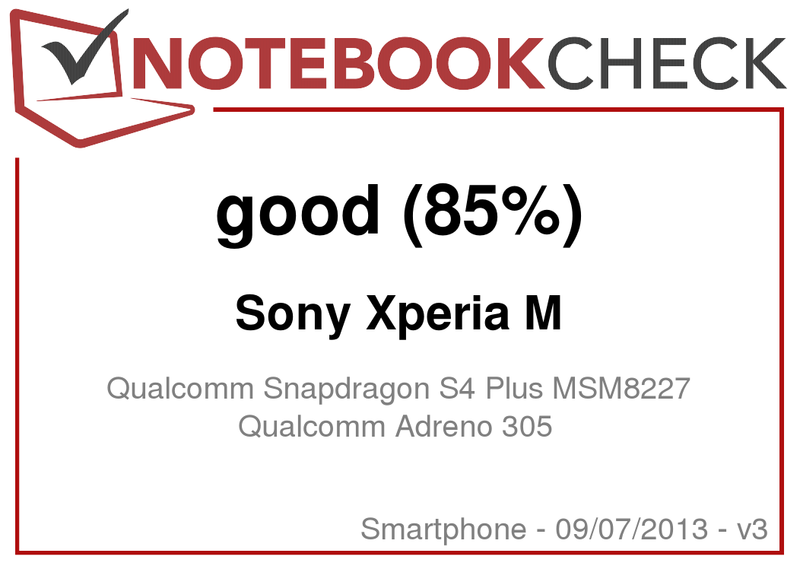 The Xperia M also scores with its phone qualities. The message LED is a nifty and useful feature that has been implemented well in the design. On the other side, the middling screen is at the top of the list. It is surprising that a screen expert like Sony does not manage to install a viewing angle stable TFT display in its smartphone. 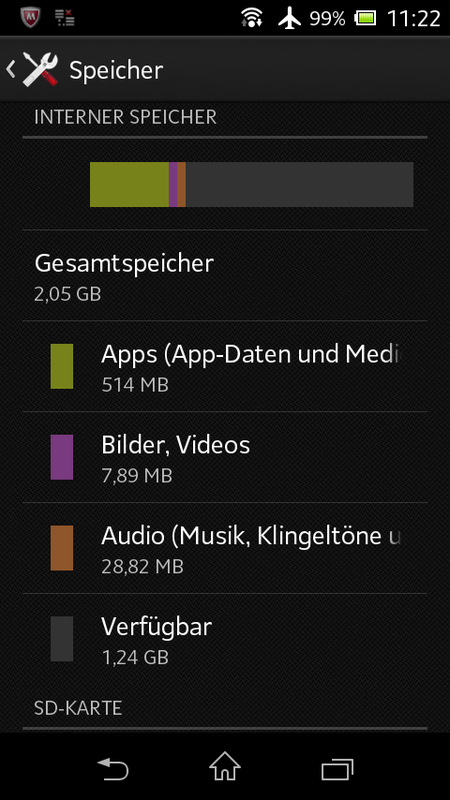 The internal storage of 4 GB is also very tight. Despite that, we can give a clear purchase recommendation for the entry-level smartphone. Sony's Xperia M is particularly appropriate for buyers who want to play 3D games on their phone since it sports the strongest GPU in the comparison field. Buyers who want to save a bit but also value battery runtime should take a look at Huawei's Y300 that is available from 116 Euros (~$153). Just as affordable but with a much better screen is the Windows Phone alternative. Nokia's Lumia 520 starts at 130 Euros (~$172). The touchscreen features a diagonal of 4-inches. The screen has a resolution of 480x854 pixels. The NFC chip is in the back cover's center. The power button is aluminum. The message LED is a striking feature. The camera supports HDR and has a resolution of 5 MP. The webcam only has a resolution of 0.3 MP. 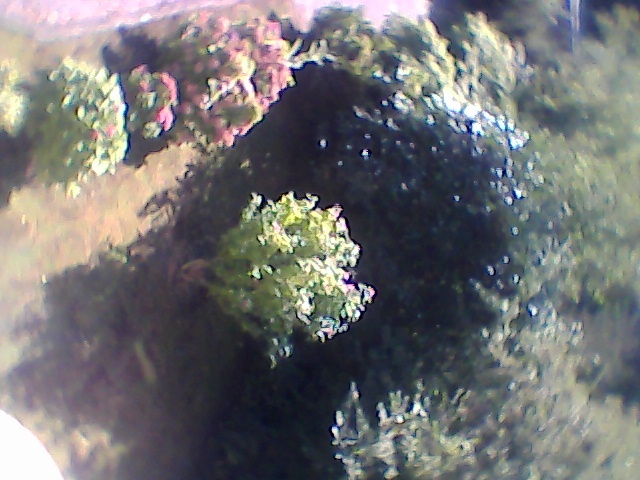 The webcam's pictures are muddy. The power supply provides up to 4.25 watts. The battery, micro-SIM and memory card slot are easy to access. The battery is removable and provides up to 1700 mAh. Not even 1.3 GB is available. Five multi-touch points are supported. 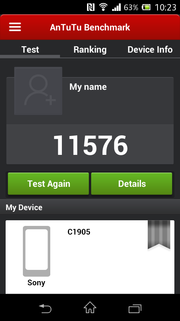 The build of the Xperia M is high-quality. It is pleasant to hold and feels good. Besides that, a device with this size easily fits in every pocket. 4 GB of internal storage is still standard in the entry-level sector but nevertheless too little since the user only has 1.3 GB available. 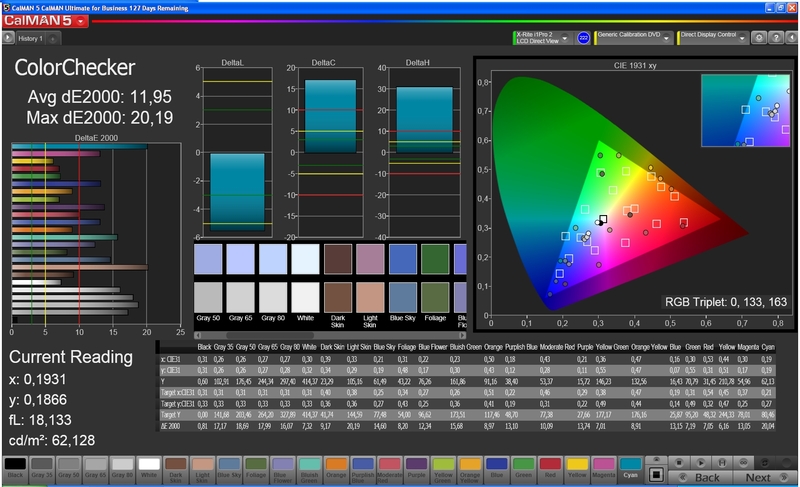 Why does a screen expert like Sony not manage to install a viewing angle stable display in its smartphone and deliver it with an at least satisfactory color calibration? There is a lot of competition in the entry-level sector. Android-based devices are, for example, Acer Liquid E2, iOcean X7, HTC Desire 500, Huawei Ascend Y300, Samsung Galaxy Ace 3 and Samsung Galaxy S3 Mini. And with the Windows Phones even flagships become contenders due to the low prices: Lumia 520, 620 and 820 (all Nokia), HTC 8S and 8X and Samsung Ativ S.